Famous Mentors and Mentees Part II | Ye! A peek inside one of our world’s most intriguing mentor-mentee relationships. Indian aerospace scientist, Dr. APJ Abdul Kalam served as the 11th President of India from 2002 to 2007; he is remembered as one of the world’s most influential politicians and space explorers. On-top-of-that, Dr. Kalam was mentored by Dr. Vikram Sarabhai, the same man who brought cable TV to India. If that doesn’t get you excited, what will! Although Dr. Kalam did not consider himself to be very qualified, his mentor, Dr. Sarabhai still saw great potential in him. If Dr. Sarabhai had not taken the time to nurture and guide Dr. Kalam, who knows where Dr. Kalam would have ended up in his career journey. Dr. Sarabhai is an example of what makes a mentor truly qualified to lead a mentee — that is, his or her ability to spot a diamond before it shines, and make that diamond shine bright. The mentor-mentee relationship of Dr. Sarabhai and Dr. Kalam has led to many remarkable scientific achievements. Aside from the fact that Dr. Sarabhai signed the Space Research Cooperation Agreement at NASA, he is widely accepted as the Father of the India Space Programme; a progamme that includes the Indian Space Research Organization (ISRO). The ISRO is a global leader in the development of space and science technology. 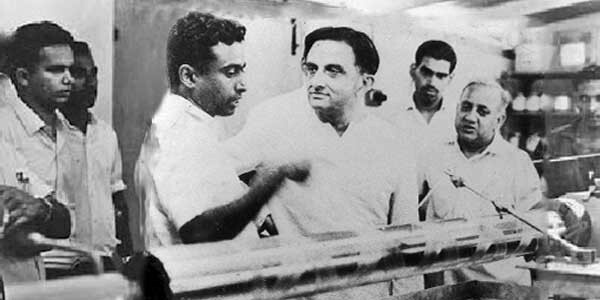 Although Dr. Sarabhai passed away at age 52, much of the work he began was further established by his mentee, Dr. Kalam. Today, the world enjoys globally recognized space and scientific innovations developed by both the teacher, Dr. Vikram Sarabhai and his student, Dr. APJ Abdul Kalam. Their relationship proves that it is possible to positively impact our world — even if we don’t think we’re qualified. After the successful missions to the Moon and Mars, the Indian Space Research Organisation (ISRO) is now looking to explore the intriguing details of the Sun. Aditya-L1, ISRO’s maiden mission to the Sun, will be launched in 2019. This blog post is written by Ye! Community Contributor, M. Nick Norman and can also be found on his Medium Page.